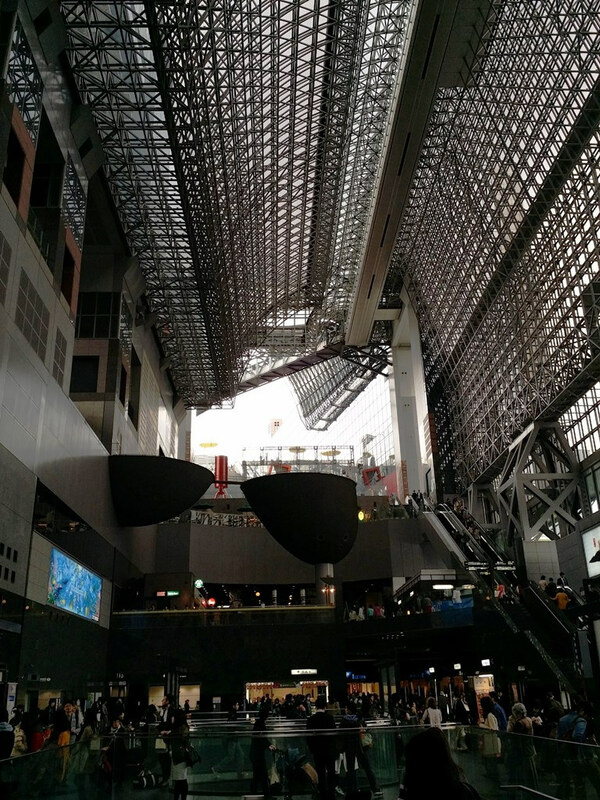 Despite all of its amazing temples, one of the most impressive – if not the most impressive – buildings in Kyoto is its station! 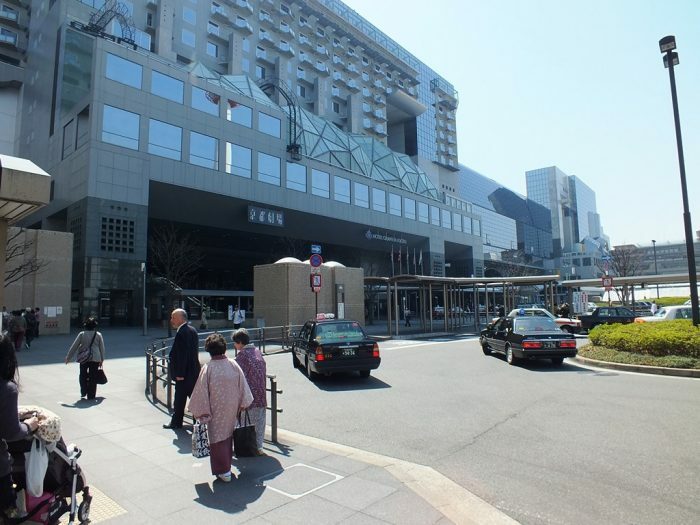 The current Kyoto Station opened in 1997 and with 15 stories and 70 meters high, and 470 meters long, a surface area of 238,000 square meters, it’s one of the largest buildings in Japan. On top of a train and metro station, Kyoto Station also houses a large shopping mall, a hotel, various offices, conference halls and more. It’s definitely a must-see if you visit Kyoto (but if you visit Kyoto, it’s very likely that it’ll be the first building you’ll see anyway as most visitors arrive by train). 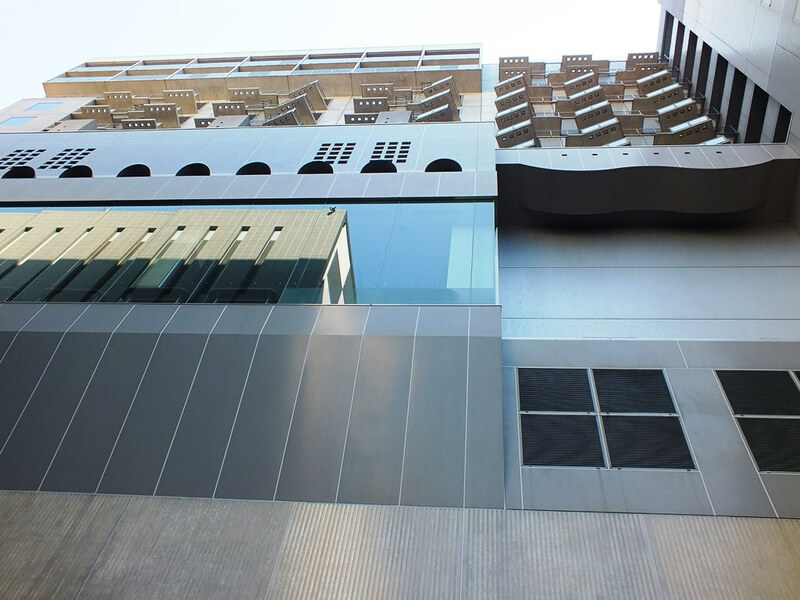 The architect was Hiroshi Hara and as you can see, the style is definitely futuristic. Actually the main hall (see above) with its “floating” platforms reminds me of an Imperial base (from Star Wars). From the outside, it’s the irregular shapes that stick out the most. One other thing that struck me the first time I went, is how clean the whole area is. 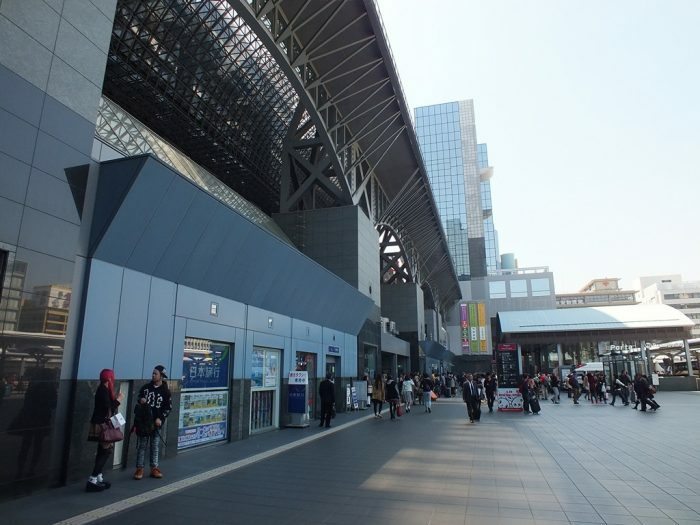 After all, we’re talking about a train station, which can be pretty disgusting places in most parts of the world… but well, this is Japan, public buildings are usually very clean, even train stations.